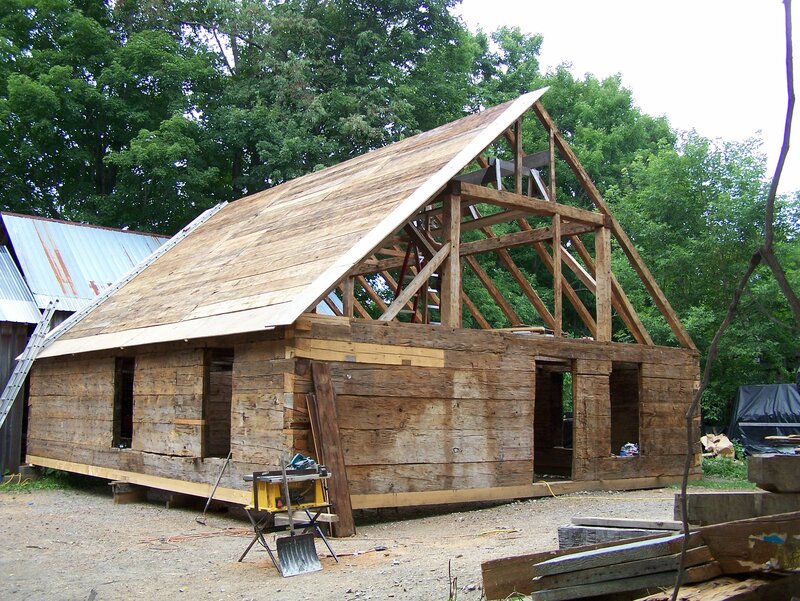 In 1777, Anthony Nichols set out to build himself and his family a hand hewn log house and a timber frame corn crib. This crib frame is a rare six bent style, which the family likely used as a storehouse for food for both the family and their cattle. A resident of our brand new American country, Nichols felled some of the tall American Chestnut near his homestead in Danby, Vermont to use for these beautifully carved timbers. Working carefully with simple tools, Nichols carved this stunning timber frame to store the harvest from his small plot of corn. Below is a picture of the house that Nichols built around the same time. The corn crib stood in the yard of the property, behind the main house. A true craftsman, Nichols built this structure to last. We had acquired the frame awhile back and been storing it at the Green Mountain Timber Frames workshop in Middletown Springs, VT. While awaiting just the right owner, we carefully restored the timber frame, keeping the intricate joinery intact. This frame needed detailed restoration on each post bottom — 12 posts on such a small frame! Recently, someone acquired this gem from our inventory and is envisioning a beautiful new studio beneath its timbers in Cambridge, Vermont. The Raised Timber Frame with New Roof Boards. 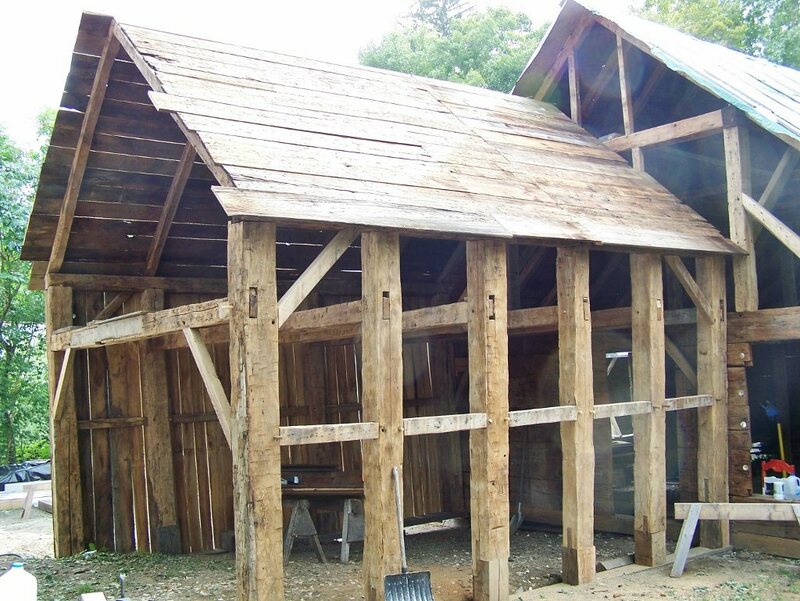 It took us about 200 hours to dismantle, ship and re-erect this old barn frame and the frame restoration took an additional 240 hours. We are glad to know this post and beam studio will be filled with life for the next 235+ years. 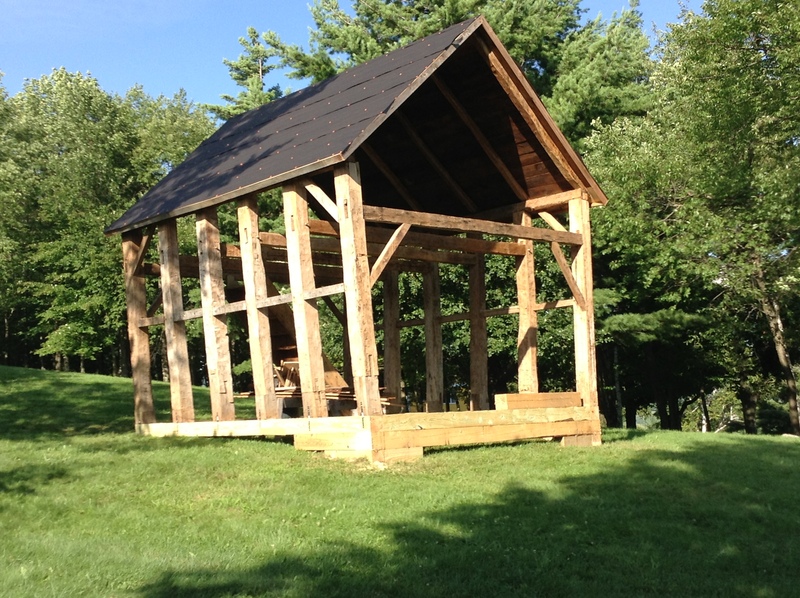 We have reconstructed the frame so it can be used temporarily as a “gazebo” for a few months. Once a foundation is built in the new location, the frame will be closed in. The new owners of this historic frame plan to use it as a studio – another barn style structure we are happy to help restore. Each time someone purchases one of the frames for sale at our shop, we feel fortunate to do this work. I am so grateful to be a small part of preserving New England’s rich and unique history and enjoy working together with clients who share our passion for preserving these kinds of historic structures. We would be glad to hear from you! If you are interested in a barn style home or one of the old barns for sale at Green Mountain Timber Frames, please contact us! 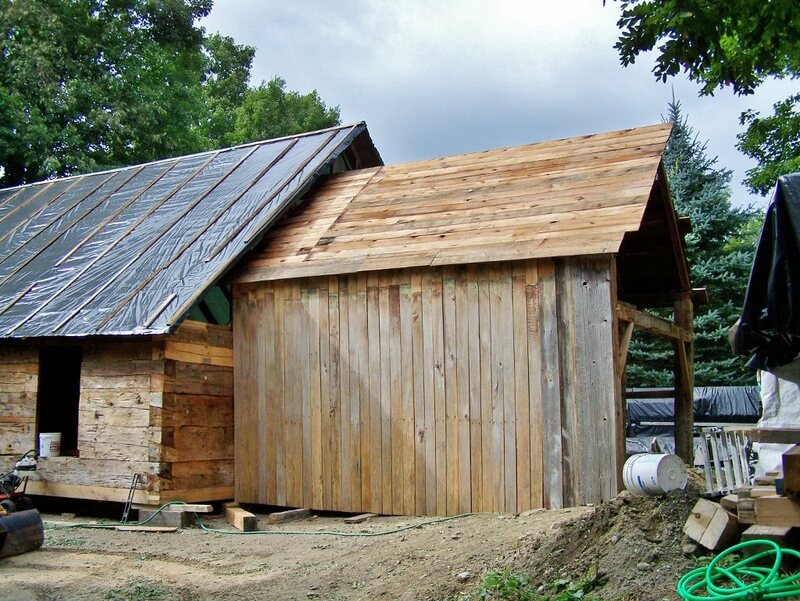 This entry was posted in Green Mountain Timber Frames, Post and Beam, Sold Timber Frame Homes and tagged American heritage, American History, American Revolution, barn for sale, barn homes, historic properties, historic timber frames, Historical New England, timber frame, vermont timber frames by Green Mountain Timber Frames. Bookmark the permalink.